J & S Diesel is a one-stop Las Vegas shop for all diesel truck services, parts and accessories. If you are looking to increase your vehicle's diesel performance in Las Vegas, NV, we have the accessories you need to get more efficiency and power from an existing diesel engine. 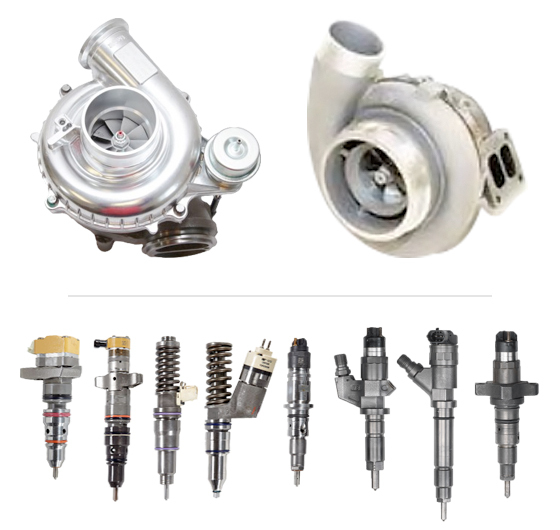 We can install anything from turbochargers to performance fuel pumps and power chips, and can help with any maintenance you may need with your existing products. Our turbo systems are your first choice for reliable, EGT-lowering performance. Whether you're looking to upgrade your diesels performance, increase towing ability, or burn up the street, we have a diesel turbo that fits your needs. Our comprehensive line of turbo systems deliver amazing efficiency along with all the power you need! Eliminate the contaminants and increase injector life and dependability with one of our performance fuel pumps. You’ll increase your fuel mileage and get more consistent engine performance. To get more horsepower, torque and improved efficiency from your engine, upgrade your diesel vehicle with one of our aftermarket performance chips. By adjusting the operation of your vehicle's onboard computer, you can generate more power throughout its RPM range, translating into quicker acceleration and more towing power. We also carry other performance enhancing diesel truck parts and accessories like exhaust kits, clutches, injectors, head stud, intakes and tuners. With our guidance and the right diesel truck parts and accessories, J & S Diesel service is the fastest way to get more power and efficiency from your vehicle. Call J & S Diesel Service today at (702) 736-8526 to learn more about diesel performance in Las Vegas, NV.